Four years ago, a woman lost her legs and most of her hearing following a medical mistake during what should have been a simple surgery. The woman's colon was punctured during surgery, causing blood poisoning and gangrene. The woman suffered three heart attacks over a 73 day period in the ICU. The potent medication used to treat the infection is what would result in her hearing loss. Gangrene occurs when the tissue rots due to a lack of blood flow to that area of the body. The response from the lawyer representing the hospital was that the woman should consider herself lucky to be alive. The hospital believes that they made the best out of the situation. Despite being nearly deaf and in a wheelchair, the hospital claims that she is capable of holding a job. The hospital not only denies any malpractice claims, but believes that they did a commendable job by keeping her from dying. Following her release from the hospital, the woman states that the extreme pain continued. The woman testified, "It was a sharp, driving pain. And it kept getting worse." The woman is suing the hospital over the incident. An expert testified that if Gangrene is identified quick enough and treated properly, the likelihood of recovery is high. The lawyer representing the woman claims that the situation is "horrifying," and that "she will be spending the rest of her life with a below-the-knees amputation, all because the doctors didn't follow accepted medical malpractice." The woman lost her job and her marriage following the stay at the hospital, and has also been battling depression as a result. In the meantime, the woman is doing what she can to move on. "I have prosthetics and I'm just starting to walk. It's very painful, but I'm trying. It's very hard," she said. As of now, the results of the trial have not been made public. The judge has ordered that the photographic evidence remain private. If you have been the victim of a medical mistake, you may be entitled to compensation. 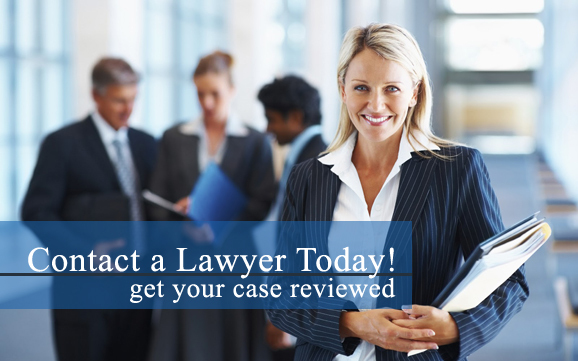 Contact a medical malpractice attorney today for more information.